KTM 390 Adventure is a much-awaited bike in the Indian market. KTM announced last year that the all-new bike will be launched within a year in the markets and last month, the bike was caught under heavy camouflage for the first time ever. The 390 Adventure was caught testing again but this time with accessories like saddlebags and a top box. It is quite possible that KTM is testing long-distance comfort of the bike with accessories in place. 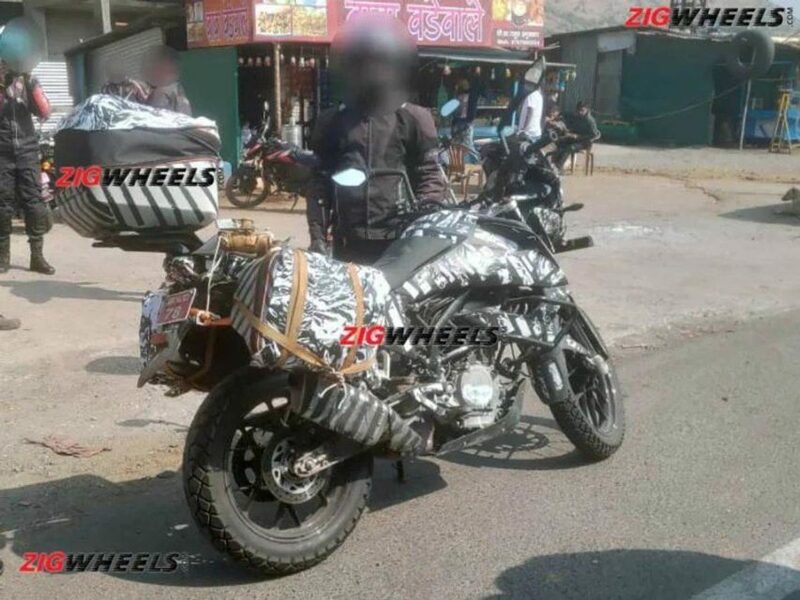 The latest test mule even gets its camouflaged saddlebags and the top box. The upcoming KTM 390 Adventure is based on the 390 Duke but it carries a lot of changes to make sure it is off-roading-friendly. 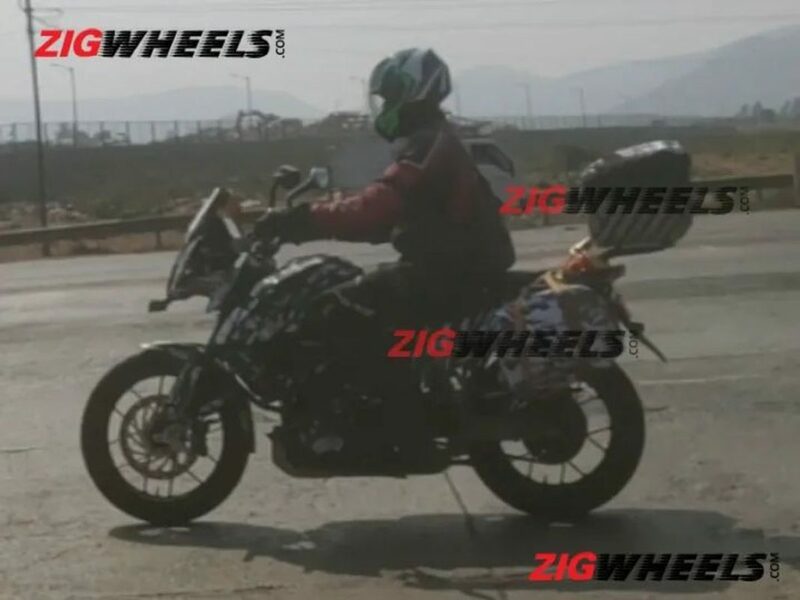 From the pictures, we can figure out that the bike gets stronger trellis frame but the set-up of the bolt-on sub-frame remains similar to the KTM 390 Duke. The bike has also grown by a bit in size. It is much longer and wider too. The bike caught testing offers alloy wheels with different tyre sizes. The front wheel seems to be 19-inches while the rear wheel is likely 17-inches. KTM will offer Continental dual-purpose tyres with the bike so that it can excel in off-roading and on the open highways too. KTM is expected to reveal the bike by late 2019 and the launch can be expected to happen by early 2020 or later 2019 depending on the markets. It will be made in India bike just like the 390 Duke and will be exported around the world. The upcoming 390 Adventure will draw power from the same 373cc engine that powers the 390 Duke. The liquid-cooled, single-cylinder engine develops a maximum power of 43 Bhp and a peak torque of 37 Nm. KTM is likely to modify the transmission ratios of the 6-speed gearbox to provide a better acceleration, which is needed during the off-roading trails. The bike will take on the likes of BMW GS 310R in the Indian market but as always, KTM will price the 390 Adventure very aggressively in the market and it will undercut the BMW’s entry-level adventure bike by a big margin.